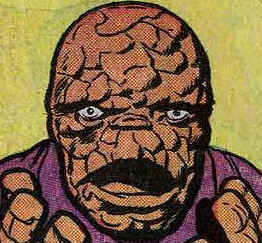 Fantastic Four Headquarters is a site that looks back at the history of the comicbook, so a full look at 2018 will be done more with the benefit of hindsight, not the same day the first issue comes out. However, as it IS the same day the first issue came out, and it's been THREE YEARS since the book was last published, it seems only right to publish a VERY brief "first impression" that can be looked at in more detail later. 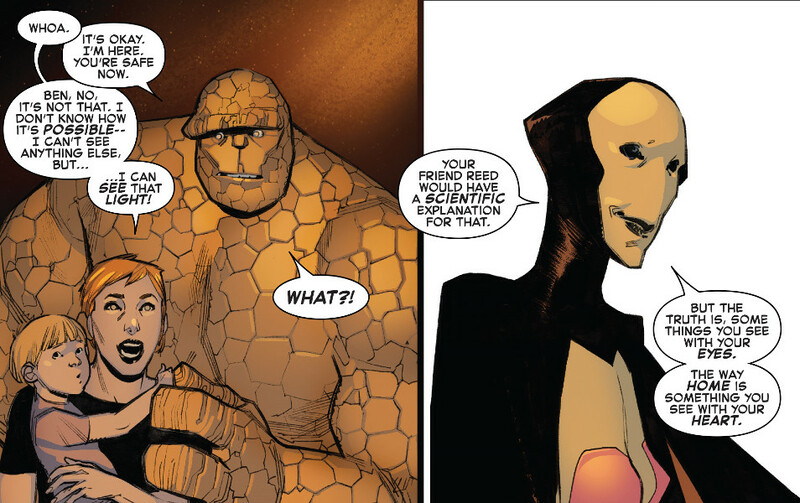 So, Fantastic Four issue one is............ okay. It's not heavily bogged down in continuity, but it does feature Reed and Sue still missing, an event which is nicely parodied by an Impossible Man single page strip. As is usual for the last few years, there's an opening panel to explain the entire set-up, which is commendably brief, but does namecheck The Future Foundation without explaining to any potential new readers what the Future Foundation actually is. The pacing is pretty good, in that while not a lot actually happens, it doesn't feel like the "decompressed storytelling" that's dogged the book in the last few years of its existence. There is a lot of the "tell not show" elements of the book, with the reiteration, as is only too common these days, that the group are "family", as well as some bits of schmaltz that probably play slightly better over the other side of the Atlantic than they would over here in the UK. For an example, see right. Back in the 60s the term "family" meant a group that broke the mould by constantly bickering and arguing with each other... in recent years it's become something of a love in. Not that the group getting along is a bad thing, but it feels like the kind of conversation they'd only have if they were aware they were characters in a comic book, rather than the real people who used to be on the verge of killing each other in some of the 60s and 70s issues. While those times have gone, it doesn't seem the book has, as a back-up strip sees the return of Doom. As a comeback issue, then it's not some glorious return to form, but neither is it a stinker. It's just... alright. The jury's out for now.